As this exciting process develops we are discovering more and more sources for exploration with each passing week. This week in particular we are really honing in on a main idea for our performance piece, which is to take letters from World War One and use them as a basis to tell the stories of those who are no longer here to do so. After each session the company all take a few minutes to write a letter addressed to our lovely audience (hopefully those reading this will become our lovely audience), in which we explain the session we have just took part in and highlight our favourite points. I personally love the art of letter writing and I think that somewhere down the technological fuelled line it has become lost and sort of cast out. By delving into Lincolnshire’s past and finding letters from soldiers to their mothers/sweethearts/daughters etc, I have been inspired and moved by the power of words. So my personal aim in writing these letters to our audience is to inspire them and let them in on our creative process so they can become part of the performance and really engage with what we are trying to do. Another reason for writing these letters is to keep track of how our ideas are developing, not everything we do in sessions and write about will make it into the final performance but it is all relevant to the end product, which I think is important to include the audience in. “12.5 Million letters left the home depot every week” (BBC , 2014) during the first world war, so you can see the great importance they had at the time and with so many letters floating around we have a lot of material to work with. For now it is just a case of narrowing down the stories we want to tell, who stands out above the rest and how we can make a performance that incorporates these letters with dance, music and verbatim all in one. All I can say is watch this space, the birds are moving forward and developing some great ideas to put into practice shortly. Johnson, A. (2014) How did 12 million letters reach WW1 soldiers each week? [Online] London: BBC. Available from http://www.bbc.co.uk/guides/zqtmyrd#z2p634j [Accessed 20 Feb 2014]. 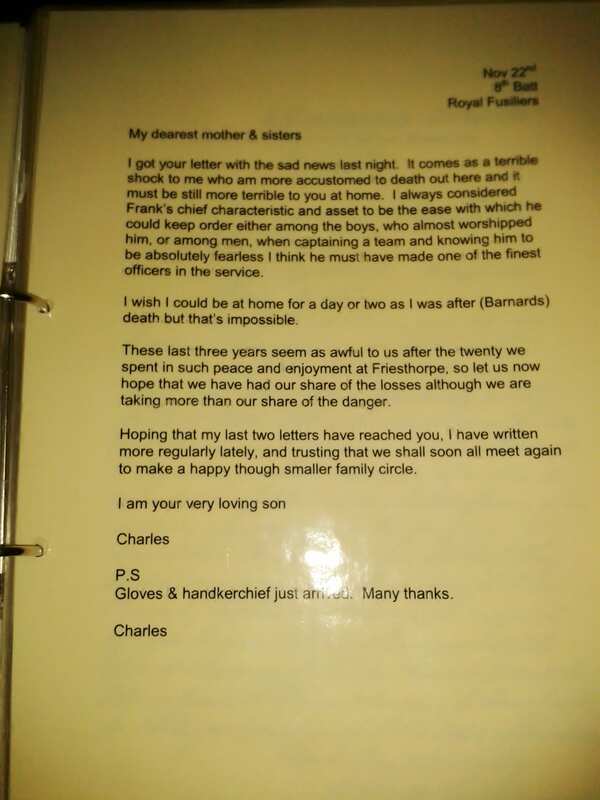 Ford, S. (2014) Booklet of soldiers letters. [Image] Lincoln: Museum of Lincolnshire Life. 04 February. 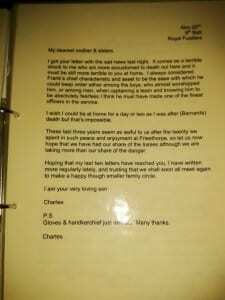 This entry was posted in Blog, Research, World War One and tagged Sarah Ford. Bookmark the permalink. Little Girl Don’t Cry I Must Say Goodbye.. Looking back at our performance.